Air Malta employees will get wind of changes to their work conditions when their unions start having one-on-one meetings this week with the government negotiating team. The focused talks follow a general meeting held last Wednesday during which the unions were told that wage rises over a five-year period would be capped at €16 million. Pilots and cabin crew were also told they would have to fly more hours, in line with international safety standards. The first meeting on Tuesday is with the Airline Pilots Association. Workers are anxious to know what the future holds for them as the airline tries to recover from years of losses that almost crippled the company. Tourism Minister Konrad Mizzi yesterday told The Sunday Times of Malta it was made amply clear the financial package offered to employees was what the company could afford. “I am confident that after the meetings common sense will prevail and consensus will be reached in the best interests of the airline and for the common good,” Dr Mizzi said. The government wants to have the collective agreements with all four unions – Alpa, the Union of Cabin Crew, General Workers’ Union and Association of Airline Engineers – in place by January 1. Air Malta chairman Charles Mangion insisted the deadline was necessary to ensure stability for the next five years. “We are targeting higher revenue, more frequent flights and better sales, but the airline needs stability to be able to grow and plan ahead,” Dr Mangion said. 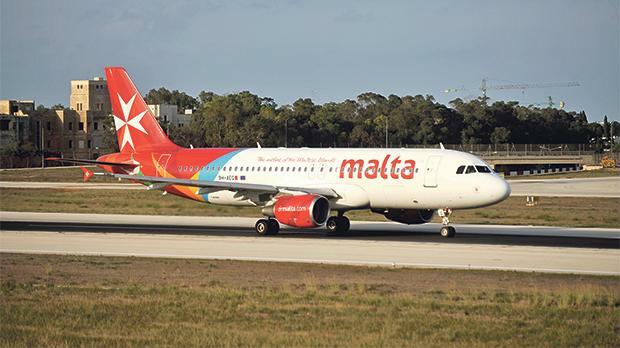 Air Malta missed the target set by a restructuring plan agreed with the EU in 2011 to become profitable by last year. The plan included an injection of millions of euros in subsidies by the government, something which cannot be repeated. Dr Mizzi warned last week that a failure to become profitable could lead to the airline’s closure if it becomes insolvent. Since the election, the government has sidelined its previous policy to attract a strategic partner to invest in the airline. Protracted talks with Alitalia were abandoned last January. Dr Mizzi has said that the first objective will be to reform Air Malta and to turn it around before the search for a strategic partner resumes. Last week the government reached an agreement with the General Workers’ Union to hive off Air Malta’s passenger, ground and cargo handling operations into a separate State company. This will reduce the airline’s head count by 460 as it focuses on its core objectives. The government negotiating team is headed by former President George Abela and includes Finance Ministry Permanent Secretary Alfred Camilleri.